Mariah Carey during red carpet interviews at the 82nd Academy Awards. 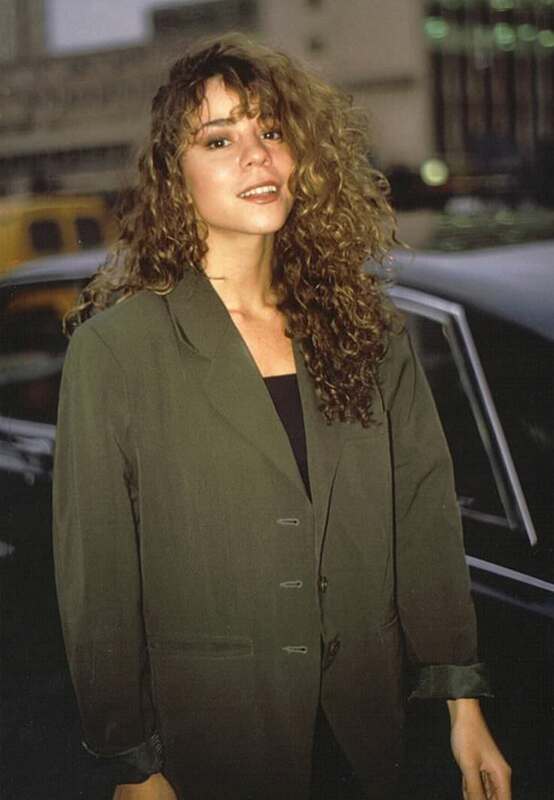 Mariah Carey is a singer and actress who rose to international stardom with the release of the single Vision of Love from her debut album Mariah Carey. She collaborated with Boyz II Men in 1995 and released One Sweet Day, which became the longest-running number one song in US chart history. She is known for her five-octave and powerful vocal range. Her first marriage was to Tommy Mottola. The marriage lasted from 1993 to 1997. Her second marriage was to actor Nick Cannon in 2008. On April 30, 2011, she gave birth to twins, Monroe and Moroccan. Cannon filed for divorce in 2014 and in April 2015, their divorce was finalized. In 2016, she got engaged to Australian billionaire James Packer. She was the world's best-selling recording artist of the 1990s and is one of the best-selling music artists of all time. Mariah Carey at Edwards Air Force Base in Dec. 1998. Carey sings "I Still Believe" for the video. Her video "I Still Believe" was taped on Dec. 11 and 12, 1998, at Edwards Air Force Base. Mariah Carey at Edwards Air Force Base in Dec. 1998. Carey takes time out of her video shoot to sing for the crowd. Her video "I Still Believe" was taped on Dec. 11 and 12, 1998, at Edwards Air Force Base. Mariah Carey exiting the Shepherd's Bush Theatre after promoting her single "Vision of Love" on The Wogin Show, in 1990. Mariah Carey is a famous American singer and actress, who was born on March 27, 1970. As a person born on this date, Mariah Carey is listed in our database as the 2nd most popular celebrity for the day (March 27) and the 2nd most popular for the year (1970). People born on March 27 fall under the Zodiac sign of Aries, the Ram. Mariah Carey is the 8th most popular Aries. Aside from information specific to Mariah Carey's birthday, Mariah Carey is the 66th most famous American and ranks 4th in famous people born in Huntington, New York, U.S. In general, Mariah Carey ranks as the 102nd most popular famous person, and the 17th most popular singer of all time. “The Famous Birthdays” catalogs over 25,000 famous people, everyone from actors to singers to scientists to serial killers and more. If you're curious to see who was born on your birthday, you can use our database to find out who, what, where, when and why. You can search by birthday, birthplace, claim to fame or any other information by typing in the search box, or simply browse our site by selecting the month, the day, the horoscope, or any other clickable option. 4th born in Huntington, New York, U.S.